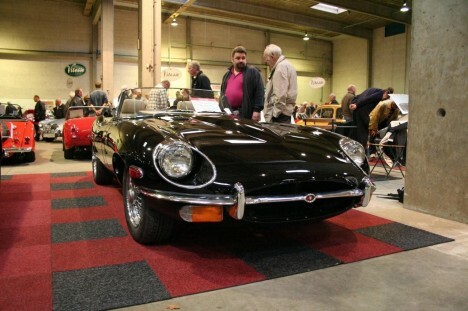 Also known as the XK-E, the Jaguar E-type was only produced from the early 60’s up to the mid-70’s. The Jaguar E type boasted features well ahead of its time like excellent handling and road performance; catching the senses through the car’s aesthetics with a sleek, tear drop-like design. But all of these combined could not have been enough to propel the Jaguar E-type to the success it has since enjoyed. The key factor which actually led to its tremendous commercial acceptance was Jaguar’s pricing. The car was significantly priced versus competing models with the outcome being a Jaguar E-pedemic! During the 14 years that the Jaguar E-type was being manufactured, at least 70,000 units were sold. The Jaguar E-type was originally designed as a two-seater coupé car and was presented as a great touring vehicle to general public. Although it had a slightly modified optional convertible form, the OTS (open two-seater), the consumers wanted more. So Jaguar, with the business sense to listen to customer requests, also released another modified model of the Jaguar E-Type that can accommodate an extra two passengers although they classified it under a different version. There were many variations of the Jaguar E-type which were then labeled Series 1 to Series 3. The said transitions from series to series featured limited editions like the hot collector’s Lightweight version and the Low Drag Coupé version of the Jaguar E-type. The Series 1 Jaguar E-type model was only manufactured for eight years starting from its debut in 1961. The first 500 units of the Jaguar E-type produced belonged to the first production lot and are now considered as a collector’s catch since they are quite rare and highly valued. Similar transitional versions of the Jaguar E-Type were released between 1967 and 1968. Although there were only slight modifications against the original features found in Jaguar E-type Series 1. Series 2 of the Jaguar E-type came with the open headlights and a bigger and a better poised front indicator panel. Tail lights were added to the rear bumpers and the brake systems were also improved. But the Series 2 Jaguar E-type was more known for the automotive hallmarks it presented when it included power steering and air conditioning as added features not found in its contemporaries. But among the Jaguar E-type series released, Series 3 is considered as the rarest of all the collective Jaguar E-type models to date. The engine was updated with a more powerful 12-cylinder version with the same safety features as that of Jaguar E-Type Series 2 releases. It is more distinguishable however, with its distinctive front grill and an emblem on the rear end proclaiming the cars to be V12.